Liebherr-Hydraulikbagger GmbH innovative attachments and quick coupler systems can be used for both hydraulic excavators and material handlers from Liebherr, as well as with machines from other manufacturers. The Liebherr product portfolio ranges from quick coupler systems for all applications, through digging tools for the earthmoving sector to grabs for diverse applications in material handling. 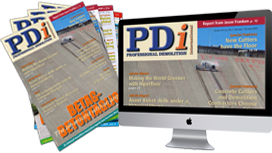 The choice of the appropriate tool has a significant impact on the success of a project. This has led Liebherr to develop a wide range of attachments with each being optimally adapted in terms of shape, properties and technical equipment, to meet the specific application and machine size. Practice and continuous product development help ensure that new developments are, ‘customer focused’, and compatible with the existing product range, so that retrofitting or replacement of individual modules is possible. Liebherr offers numerous options for road construction, civil engineering and tunnel construction, water management, gardening and landscaping, demolition and the mining industry. In addition to backhoe buckets, tilt buckets and trench clearing buckets, tilt rotators, grabs, load hooks and pallet forks are also available, with the substantial product range having a modular design. Users have access to all relevant optional equipment in every available width of the attachment, providing countless variants for the common grabs or buckets, which can be configured to meet customer specific requirements. The range includes innovative attachments for material handlers for applications ranging from scrap, timber and port handling through to waste management and recycling. These are customised to meet the specific requirements of the different applications, and therefore optimise handling capacity. Thanks to Liebherr’s flexible and practice orientated advice, customers are able to find the best solution from the portfolio of different clamshell buckets and multi-tine grabs, timber and sorter grabs and various lifting magnets. For increased productivity, efficiency and safety on the construction site, Liebherr provides different levels of configuration for its quick coupler systems to suit specific applications. This way machines quick coupler system and attachment form a high performance unit for maximum efficiency and economy. Liebherr's mechanical quick coupler has proved to be an ideal solution when the aim is to increase machine flexibility and productivity, whilst minimising investment costs. With the hydraulic Liebherr quick coupler system, a simple and safe change of mechanical tool attachments is possible from the cab. 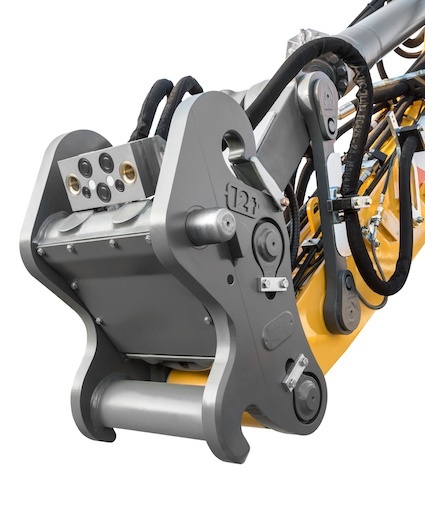 If the patented hydraulic coupling system Likufix® is added, then the quick and safe changeover of hydraulic tool attachments can happen at the touch of a button. With Likufix®, the hydraulic excavator’s range of uses and machine productivity can be increased by up to 30%. All current official standards, as well as the forthcoming IS0 13031 standard, are met thanks to the hydraulic quick coupler’s specially developed safety features. In order to continue to satisfy its customers need for high performance and productivity results, Liebherr is constantly developing new solutions for its attachments and quick coupler systems. The continued advance of digital technologies offers various possibilities in this respect. The interfaces and electrical connections between the machine and the attachment are also forward oriented, making the control of different hydraulic functions, such as transferring GPS receiver signals at the attachment, possible.